I’m off to Sydney on Friday for a long weekend (I never get tired of saying that). I’ll be splitting my time between my family, diving and a spot of birding. I’ve written before about how Sydney is a great place to bird, and I’m hoping to add a few good species of bird to my year list, even a few lifers. I’m determined among other things to getting my lifer Rock Warbler, for example, the ultimate Sydney special, being as how it is found only in and around the Sydney. 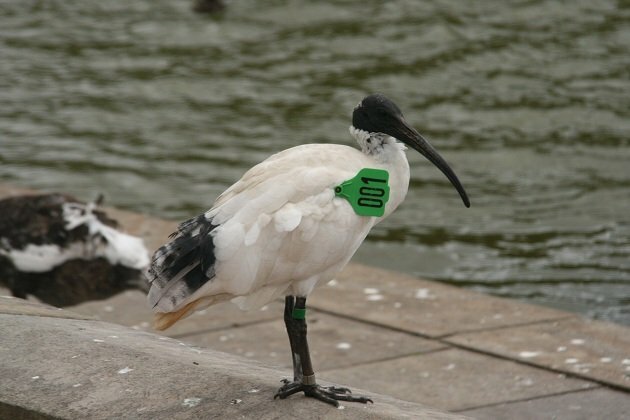 But is it the ultimate defining bird of Sydney? Probably not. 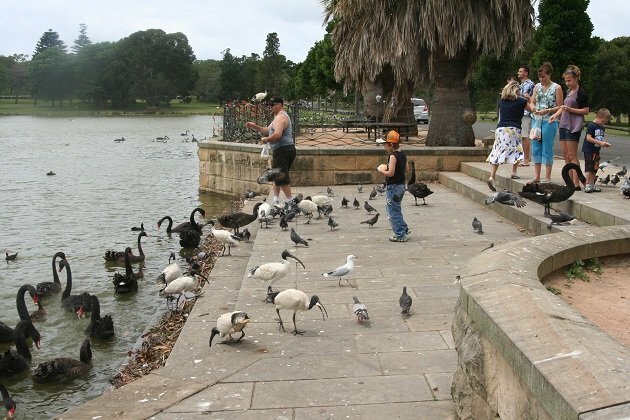 Quite a few birds might qualify, but in spite of the conspicuous species like the Sulphur-crested Cockatoo, the Rainbow Lorikeet or the Blue Penguin, I would say that the bird that best represents Sydney is the Australian White Ibis or Sacred Ibis. The name Sacred Ibis originates with the white ibis of Africa, and it was also applied to other, similar looking species; so similar do some of these species look that I didn’t realize at first that the Black-headed Ibis I saw in Thailand last year was a new species for me at first. 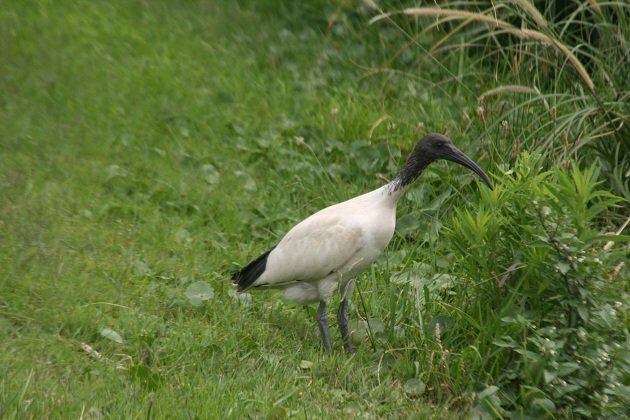 Indeed part of the reason they are called Sacred Ibis is that they were once all thought to be the same species. 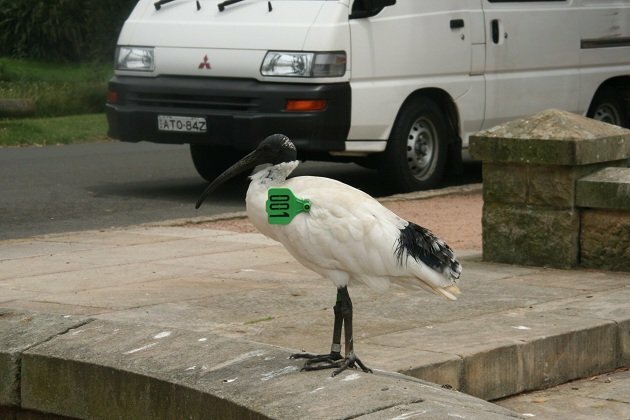 But whereas the Black-headed Ibis is a rarity where I was, seeing an Australian White Ibis in Sydney is one of the simplest things you can do. Walk down a street in the city centre and keep an eye on the bins. Especially in the parks, or the Botanical Gardens, but even right outside Central Station. They are one of the most urban birds of Sydney. This Australian White Ibis is part of a study. This wasn’t always so. 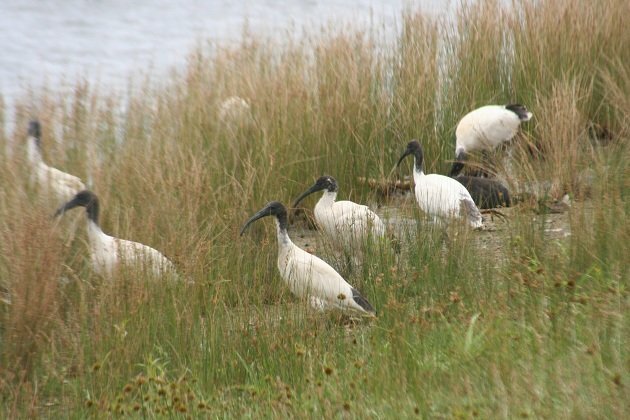 Australian White Ibis were originally birds of the inland marshes of Australia, a habitat they share with the Glossy Ibis (yes, the same species Americans are familiar with) and the attractive Straw-necked Ibis. But in the 1970s they began to move into the cities, from Melbourne in Victoria to Townsville in Queensland and found them to their liking. Coinciding with this species increasing in the coastal areas of Australia is a decline in their more traditional inland sites. While they are something of a pest in the cities, the cities have become crucial for the ongoing survival of this species. Current management plans for this species thankfully take this into account. It may be disappointing for a birders first tick of this species to be in the refuse outside the Sydney Opera House, but take solace in seeing a species that might otherwise be in real trouble adapting to a new way of living. Wish I got birds like that round MY dustbin! They’re lovely. These birds seem to have invaded the Sunshine Coast area of Queenlsand in recent times. I never saw them, say, 30 years ago. I imagine the ones up here are taller than the ones in your photos. They certainly love a good rubbish bin.